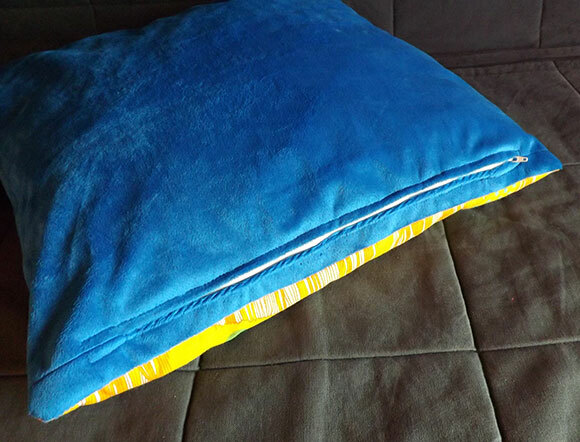 I have many ongoing projects that won't be finished for a long time, so I took a break to spend a couple hours with a nice quick project: pillow covers. 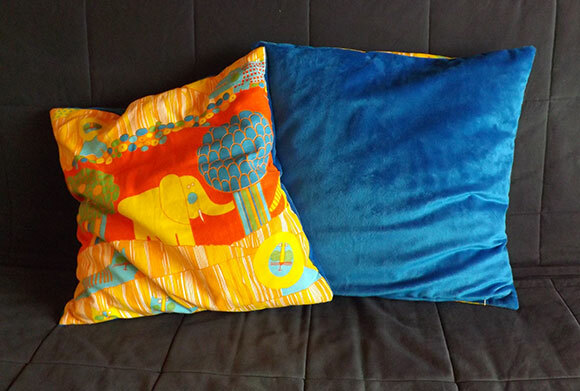 Several years ago I made some monster shaped pillow covers, but I got sick of them so I decided to try to find some fun fabrics in my pile to make new covers I would be excited about. Some of Alec's earliest memories are of this specific fabric because it made up the curtains in his room. When his mom gave me a bunch of her leftover vintage fabrics a couple years ago this was included. 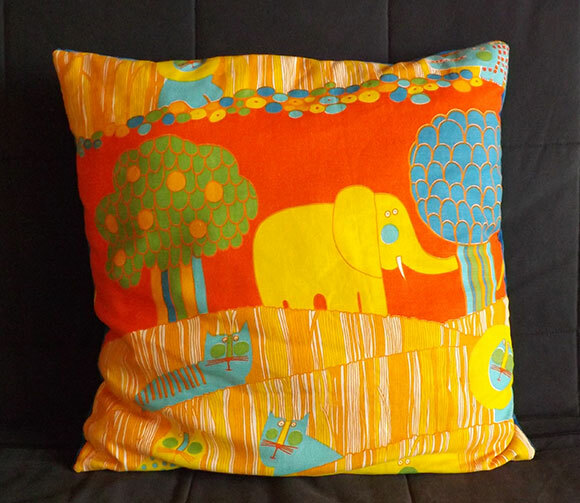 The big print with jungle animals seemed perfect to show off on some pillows and I had just enough to make two. I didn't want to buy any new fabric for this project. Luckily I had a lot of super soft, blue plush minky fabric for the back that complemented the orange in the print on the front. I did include a zipper so they could be washed. I still don't know how well minky plush fabric holds up to repeated washings but I'll soon find out.